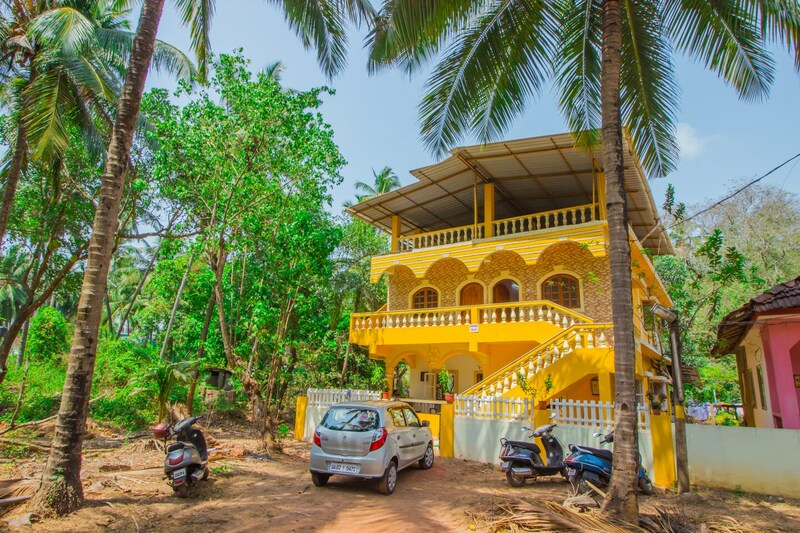 OYO 14210 Home Peaceful 1BHK Arpora is the right choice if you want to stay close to Goa action while enjoying a comfortable stay. OYOs skilled and friendly staff is always on their toes to cater to all your requirements. Designed per the needs of a contemporary traveller, you can find all the amenities such as Mini Fridge, Parking Facility, Kitchen to your comfort. Laze on the beach or explore Goas colonial charm, as you visit Church Of St Alex Goa, Casino Palms and Casino Paradise. Dont worry if you get short on cash, as there is Yes Bank ATM, Axis Bank ATM and HDFC Bank Branch / ATM located at a walkable distance.